Presently, some changes are being introduced in the paramedic recruitment process. 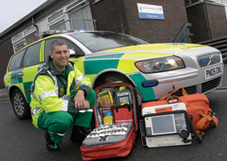 The former process requires that paramedics start out in the Patient Transport Service. Subsequently, a paramedic would advance to the Emergency Medical Technician level, and to Paramedic (the last two usually involve about six weeks IHCD training). These will take nothing less than 2 years. However, in recent times, paramedic training takes place in a higher learning setting which could be a university. Alternatively, you can obtain your training via the Open University (for people working presently with ambulance services). To enter into the field of paramedics, the minimum qualification is a diploma in paramedical science, obtained in higher education. However, more than 20 UK Universities now offer paramedic courses at different levels – foundation degree, diploma as well as BSc level. Various learning options are available; part-time, sandwich and full-time. While 60 percent of each course is basically on theoretical aspects, the rest of the 40 percent focuses on gaining ambulance and hospital placements work experience. At What Age Can you Become a Paramedic? The minimum age you can apply to become a paramedic is 18 years old. The maximum age you can train to be a paramedic is rather vague and my only advice is that your eligibility is determined by your ability to meet the physical and mental demands of the role. The paramedic selection process includes multiple phases. 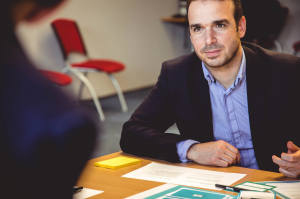 The most essential stages include the completion of the application form, invitation to the evaluation centre for the different tests (numeracy tests, verbal reasoning test, literacy skills, as well as knowledge of the Highway Code). Outgoing and having a caring attitude, someone who is ready to help. Also, you must be committed to non-stop professional education and development. You must also pass the Criminal Records Bureau check satisfactorily. Also, if you’ve had experience in techniques relating to life-saving, it would be a real plus. You can gain such experience by volunteering as a first responder in a community, under a local ambulance service. Your application will stand out from other potential paramedics if it meets most of the requirements outlined in this article. If you do not have most of the requirements, it is better to spend more time getting substantial skills in the different areas outlined before applying to become a paramedic. The Ambulance Service Network is a great place to check for more information.